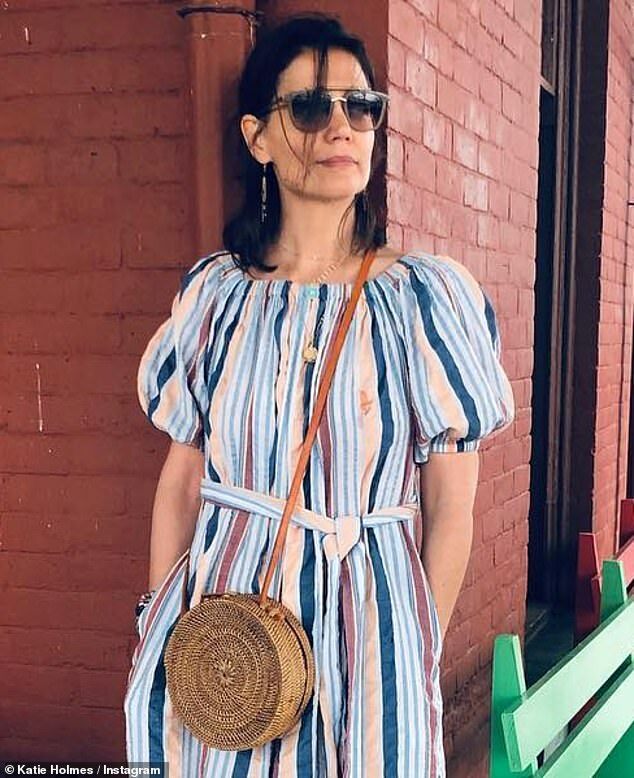 Katie Holmes seemed to enjoy a laid-back country weekend. 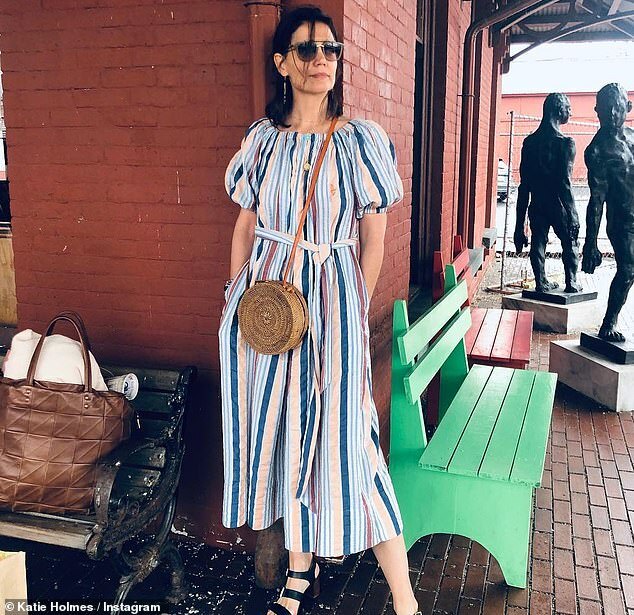 The 40-year-old actress took to her Instagram page on Sunday to post a photo of herself in a summery Ulla Johnson striped jumpsuit. She also shared a photo of a bottle of red wine as well as an image of beaded bracelets. 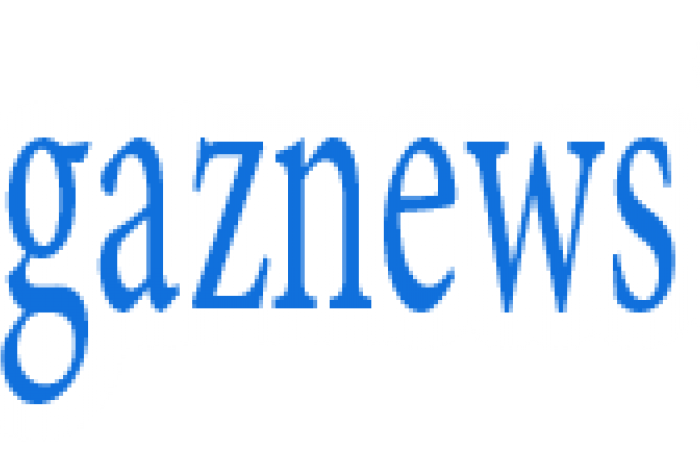 This comes just days after being seen with longtime beau Jamie Foxx. The gorgeous garment had blue tan and brown vertical stripes with a long sash belt tied to the side. Holmes finished the look with a woven shoulder bag, brown sunglasses, teardrop earrings and black open toed sandals. 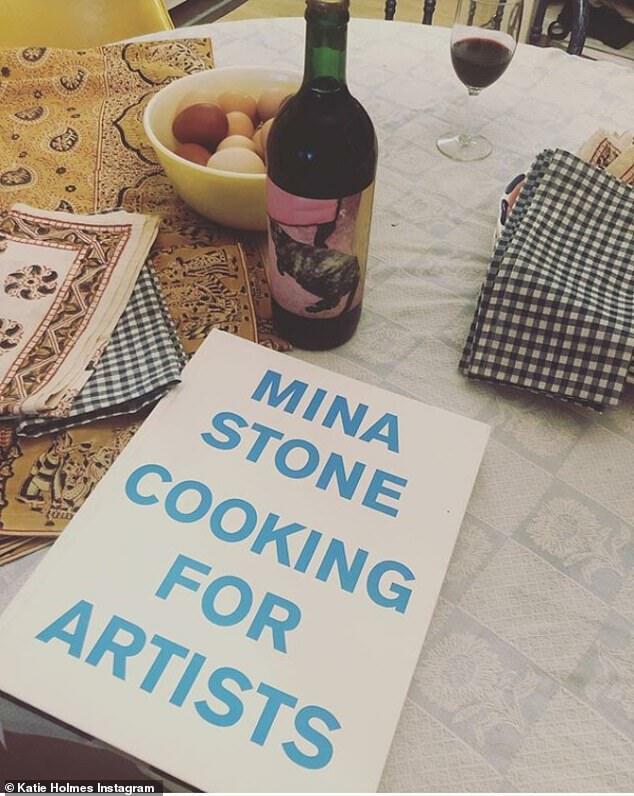 The Batman Begins performer also posted a photo of her latest reading selection, Mia Stone's Cooking For Artists, while enjoying a bottle of wine from film director and friend Gia Coppola. 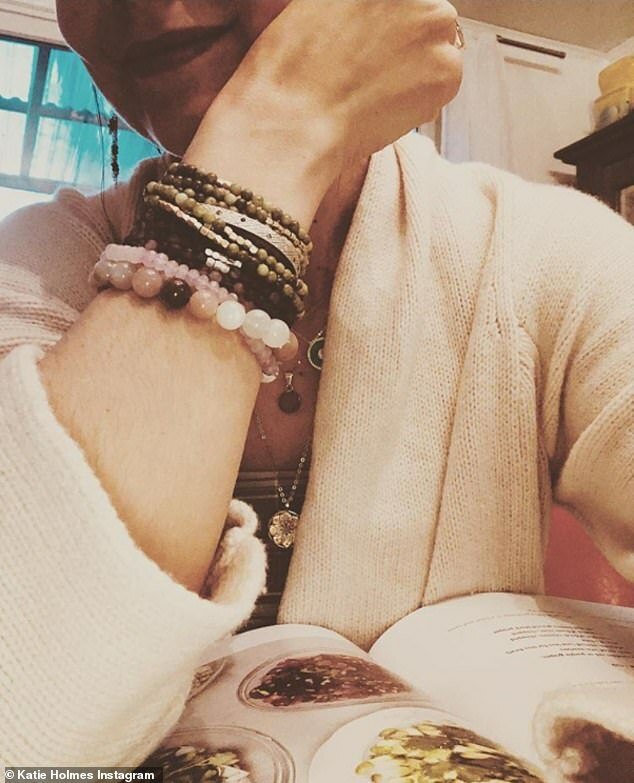 Her last photo from the weekend featured a photo of Holmes with the open cookbook while showing off an arm full of beaded bracelets.